Everything from copper and precious metal circuitry in electronic devices, to soft-drink containers, automobile batteries and radiators, aluminum siding, airplane parts and more. Nonferrous scrap is then consumed by secondary smelters, refiners, ingot makers, foundries and other industrial consumers in more than 90 countries worldwide. These consumers rely on nonferrous scrap as a competitive, environmentally friendly and energy-efficient input to make brand new products, continuing the nonferrous metal life cycle. 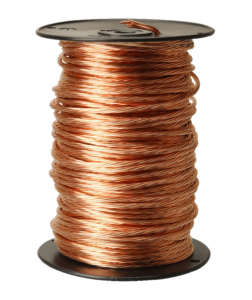 The BIR estimates that almost 40% of the world’s demand for copper is met using recycled material, while more than 80% of the zinc available for recycling is eventually recycled. NEED YOUR NON-FERROUS SCRAP REMOVED?